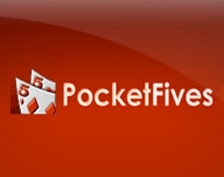 PocketFives.com was founded by Adam, Riley and Cal back in 2005 and since then their forum has become the homebase to many poker veterans and players new to the poker game. The idea behind PocketFives was to create a community of poker players to support each other in their online poker ventures. Currently PocketFives has grown tremendously and archives over 400,000 threads with over 5 millions posts. They have close to 90,000 registered members, of which 10,000 are still active. The setup and community of PocketFives has always been tournament focused, due to its own player rankings it put in place (which is widely respected amongst the online poker community). Over the years, the PocketFives Rankings have evolved into a listing of the top 100 online tournament players of all time. These rankings are not only determind by your online tournament results, but are also influenced by votes gathered from Pocket Fives ‘Pro Pollers’. These ‘Pro Pollers’ are online poker players who achieved extraordinary results and can be considered experts in that field. The main difference between PocketFives and TwoPlusTwo is the accessibility of information. If you find that TwoPlusTwo is a little bit confusing, then the Pocket Fives forum might suit your needs better. The PocketFives design is a lot more user friendly and includes easily accessible main catergories like ‘Bad Beats’, ‘Hand Advice’ and ‘Poker Legislation’. PocketFives.com also have their own pokercast (pod cast), which comes out a few times a month. They often are able to attract cool guests for these shows, as they did in their most recent poker cast with Micheal ‘The Grinder’ Mizrachi. He answers questions from the community and tells about how he is preparing for the WSOP 2010 Final table in November and how it was to win the $50,000 World Champion event earlier in the wsop 2010 series. If you hadn’t heard about or visited PocketFives before, it’s definitely worth a try.